Buses in Blackpool will change next week due to roadworks - will your journey be affected? Roadworks in Blackpool town centre will extend to the Talbot Road junction outside Wilko on Tuesday - meaning that Blackpool Transport bus services will no longer by able to use the stops on the road for up to eight weeks. The services will also change the way they travel around the town centre as they will not be able to access roundabout in front of Wilko. Here is how buses will change from Tuesday. Can be caught from their regular stops on Abingdon Street in the town centre. People travelling towards Mereside can catch these services at Central Library, Queen Street. People travelling to Cleveleys will be able catch them at their regular stop on Dickson Road. 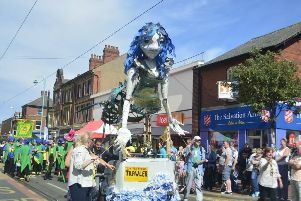 Can be caught on Clifton Street towards Blackpool Victoria Hospital (5) or Cleveleys (7). People who are travelling towards Halfway House or Lytham can catch both services on Market Street. People travelling to Grange Park can catch this service from its stop on Corporation Street. People heading to Mereside can catch the service on Market Street. Can be caught at their usual stop outside Central Library, Queen Street. Can be caught on Market Street as usual. Some Blackpool Transport services will be diverted in the town centre on Fridays and Saturdays during the Illuminations. The Promenade and tramway will not be affected.